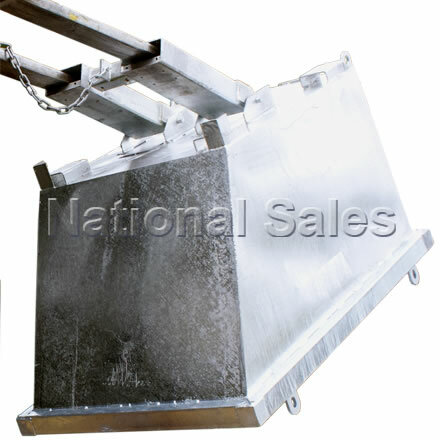 The NS-STB1 Crane Bin with fork pockets has been designed to provide an economical solution to collecting and disposing of industrial waste and other uses. 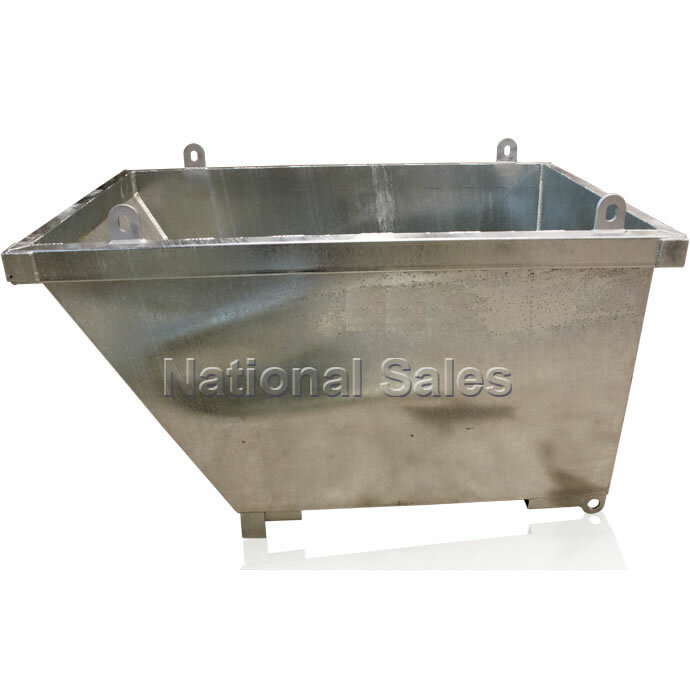 The bin features a low profile which allows versatility in confined spaces. 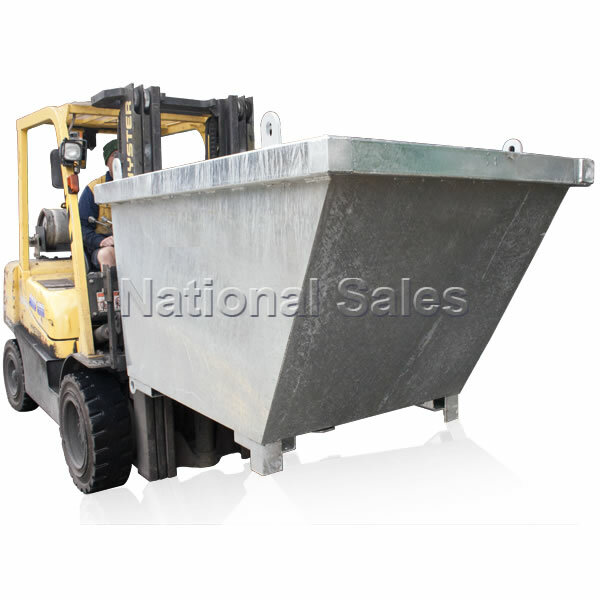 When transporting the bin to the discharge point the forklift tines are positioned fully under the bin. To empty the operator catches the bin on the edge of the bulk container and reverses the forklift. When the tines clear the pivot point of the bin raising the forks will permit a complete discharge of the contents. 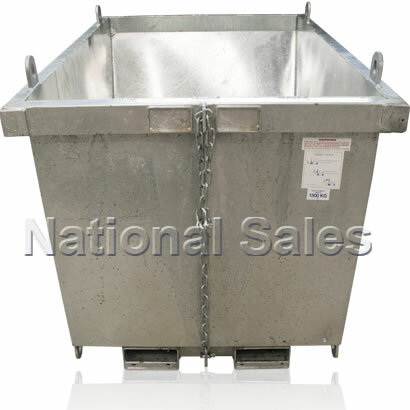 Crane bins are manufactured from 3mm plate and feature reinforced edging and crane lugs.